Mike Bonte with the local kids setting up for the "Shaken Soda" contest. 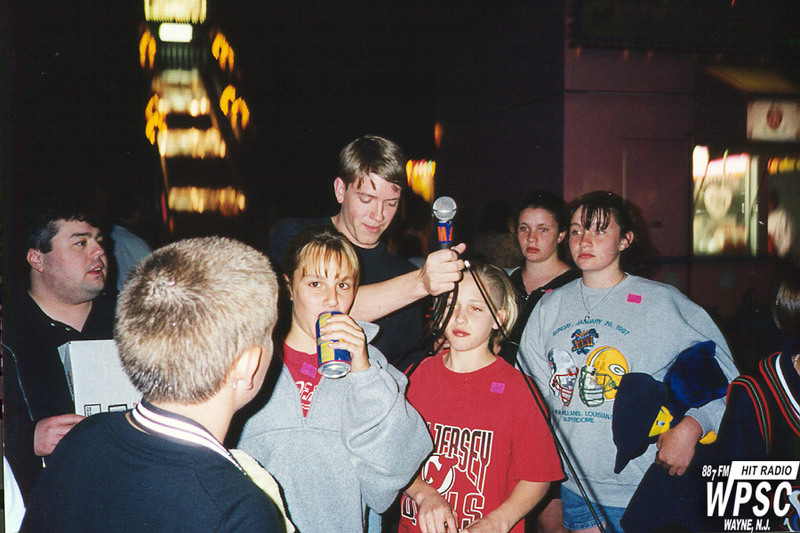 This was a fun one... whoever got sprayed in the face with a soda we had shaken up one a prize. Sadly, none of the sodas exploded for our contest this night, so everyone got a prize. The kids participating in this contest were Courtney, Kelly, Rich, Alice, Tom, Michael, Billy, Crystal, and Maria.